Greetings. So today I’m gonna write about stuff. 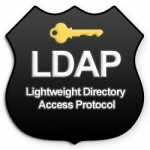 Managing basic LDAP things with PHP, to be precise… Had a problem at work, that sometimes we do not receive information about new people when they get accepted. Because we don’t receive any information, we don’t always know what to import/create. Then those people come to us asking why they can’t log into computers and use Wifi, then we have to look them up in a outside Oracle DB and create a user like that. That’s a silly, repetitive and a daunting task. Some kinda tool to automate this had to be created so it could be integrated into our existing IT system as well. I’m not gonna write about the tool, instead I’ll be writing about problems that came up adding users, creating groups and modifying attributes. … german-flashcards.com and import them to SuperMemo. Those who want to learn a language, SuperMemo is one way and my friend asked me if it’s possible in some way to combine the website with that program. Surely I took a look. This program creates 100 folders on the Desktop with randomly generated name, 10 chars long. You can easily change the values yourself and recompile the application with FreePascal compiler (I used Embarcadero RAD studio). All values that could be changed are commented.